The vibrant music, cultural and culinary scene in Puerto Rico offers vacationers of all ages a stunning array of activities. 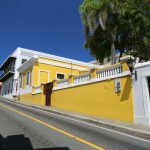 This was my third visit to this colorful and congenial island and I jumped right into the mix at the legendary El San Juan Resort and Casino located on a two-mile beach in San Juan’s Isla Verde district. At the El San Juan, I encountered the locals dancing to the beat of sassy salsa rhythms. This happening occurs on Thursday, Friday and Saturday evenings. The magnificent marble lobby with its gleaming chandeliers and mahogany woodwork is packed with partygoers of all ages, dancing the night away to the sounds of a free band that plays into the wee hours. Here, is the place to people watch and if you’re in the mood to dance, join the crowd. Dancing in the lobby of El San Juan Resort and Casino. For those that prefer classical music, there is the ballet, symphony concerts, opera and stage plays at the San Juan Performing Arts Center Hotel. El San Juan Resort and Casino has 386 guest rooms, nearly two dozen suites and several restaurants. The La Galleria, a shopping arcade with designer jewelry and fashion boutiques has reasonable prices. Other amenities include a day spa, casino and the Encanto Beach club. Another excellent feature of the resort is accessibility. 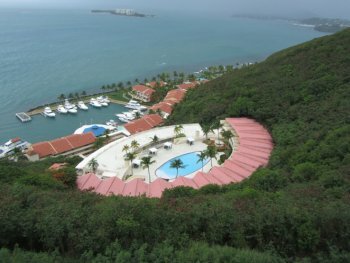 It is located just five minutes from the airport and 15 minutes from downtown San Juan. For conventions, the hotel has 35,000 square feet of event space. 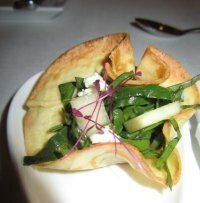 I love Italian food and I discovered some of the best authentic Northern Italian cuisine at the La Piccola Fontana restaurant at the El San Juan Resort and Casino. The ricotta cheese ravioli in truffle butter and potato gnocchi were super stars on the menu. 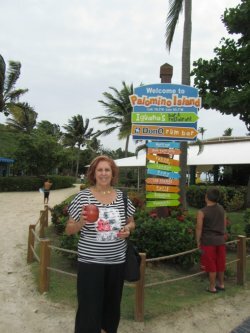 Being a foodie, I explored the culinary scene which is a mixture of Caribbean, U.S., European and Spanish influences with locally grown products adding fresh and flavorful zest to island cuisine. My dinner at the Conrad San Juan Condado Plaza was scrumptious. The salad that accompanied my meal was infused with sesame seed oil, basil and rosewater with a presentation that rivaled New York’s finest restaurants. 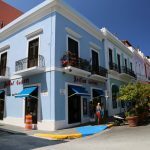 The Conrad San Juan Condado Plaza is also a happening night spot for locals as well as tourists. Located on the Condado strip, the hotel overlooks the Atlantic Ocean and the Condado Lagoon. The modern newly designed lobby has a massive Moon Bar which has a 360 degree shape. 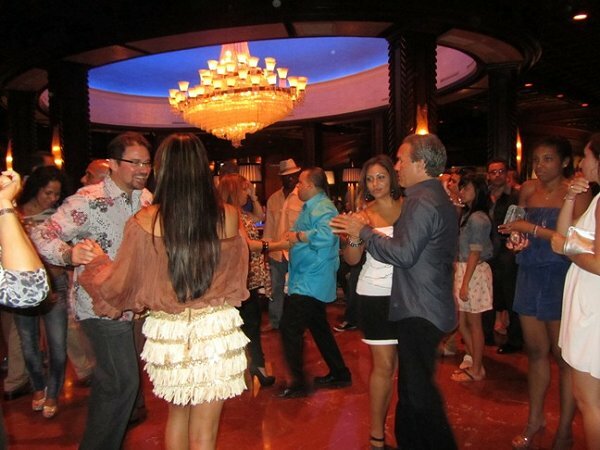 Locals sit at the bar and dance in the lobby as they enjoy the sassy rhythms of a lively band. The Conrad has one of the largest casinos in San Juan. Located on the second floor of the resort, performers sing on the stage in the middle of the casino. 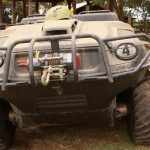 The resort has more than 500 rooms with modern amenities such as high-speed internet access, flat screen televisions, electronic safes and refrigerators. For fine dining try Chef Wilo Benet’’s flagship project, Pikayo and for late night dining, there is a Denny’s, like no other nearby, which is open 24 hours. 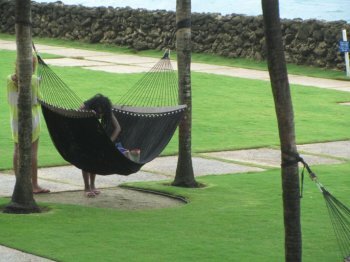 The luxurious Conrad San Juan Condado Plaza beach and pool area is accented by hammocks facing the ocean. There is also a sports complex with windsurfers, kayaks and snorkeling gear. The resort has three swimming pools, one salt-water and two fresh, including a swim up bar, a lap-pool overlooking the Condado Lagoon and a pool with a waterslide for children. Try the whirlpool with its spectacular ocean views. There is also tennis, a 24 hour fitness center, business center, 40,000 feet of meeting space and kids program. 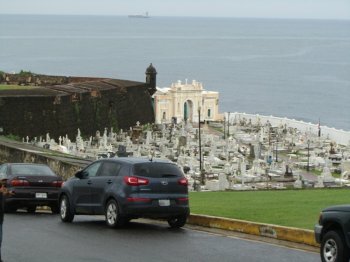 A visit to the busy and bustling San Juan would not be complete without a glimpse into its past in Old San Juan. I walked along the cobblestone streets and explored its centuries’ old ancient sights and fortress surrounding the sea. Chic boutiques are intermixed with deco buildings. Shoppers will find a multitude of items to take home from paintings and prints by local artists to fine antiques from around the world. Tropical sauces and jams, tobacco and coffee are plentiful. You will also be able to purchase souvenirs from artisans selling crafts and homemade jewelry. Exquisite gold jewelry can be purchased for reasonable prices at numerous shops in old town and U.S. visitors don’t have to pay duty on items they bring home. Puerto Rico is also the home of Bacardi, one of the world’s largest rum makers. Tours are available of the Bacardi rum factory with tastings. El Yunque Rainforest in Rio Grande is also a must when visiting San Juan. Paved trails allow for leisurely strolls as you connect with nature and view spectacular waterfalls. 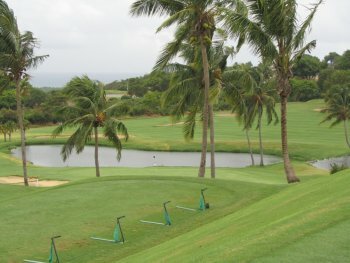 While San Juan is an exciting, vibrant place to vacation, I also opted to spend a few additional days on Puerto Rico’s east coast at the El Conquistador Resort, a majestic Waldorf Astoria Resort with awesome views of the Atlantic Ocean, an 18-hole Arthur Hills Golf Course, Golden Door Spa and Coqui Water Park. The view from my room was spectacular. The El Conquistador Resort, A Waldorf Astoria Resort is a destination resort with numerous activities to keep guests entertained. Sprawling across a cliff top high above the sea, the resort is comprised of a grand hotel with unique villages with awesome views. There are several variations of accommodations at the resort from one, two and three bedroom villas with kitchen facilities and private pools as well as butler service, 750 guest rooms and Las Casitas Village with 234 villas. There are more than 20 restaurants, bars and lounges, a Starbucks and casual dining spot called David’s Cookies where I enjoyed pastries, desserts and sandwiches after enjoying a day at one of the several freshwater swimming pools. I spent a few days at the Golden Door Spa, lounging in the hot tub and steam room, enjoying a seaweed facial, a massage and taking fitness classes while my friends played golf on the championship course. A boat from the El Conquistador whisked me to the resort’s 100-acre Palomino private island, where I sat under a beach umbrella in a cabana and watched the waves roll in as other guests rented paddle boats, wave runners and hobie cats. The island is a day trip for guests of the hotel offering the opportunity to enjoy the refreshing sea, a tropical rum drink, island food and local shopping. The resort also has a casino and gourmet dining. The food is amazing. I highly recommend the Strip House with its juicy steaks and over-the-top luscious desserts. For those baby boomers with children and grand-children, I recommend the themed water park on the property which has water slides and inner tubes for fun rafting. The resort also has seven tennis courts, a fitness center, numerous boutiques, a marina offering deep-sea fishing charters, sailboats and catamarans for private charters or tours.